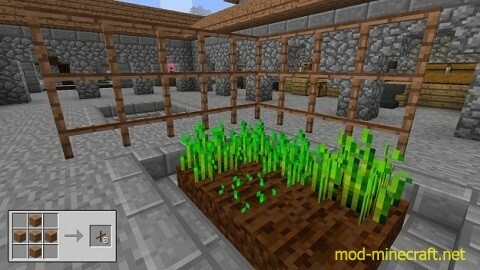 The Garden Stuff Mod is a great step in gardening and farming in Minecraft. 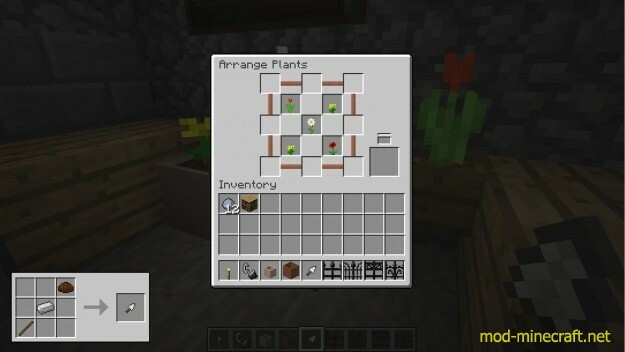 You will now have more pots to plant in, fences to enclose areas, and enriched soil for faster growth. You should improve your gardening and show the hard work you have put into it as well. 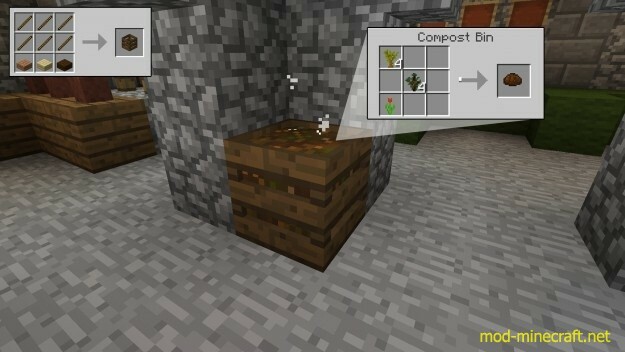 Enriched soil is made by mixing dirt and compost, the latter of which can now be created with a compost bin. 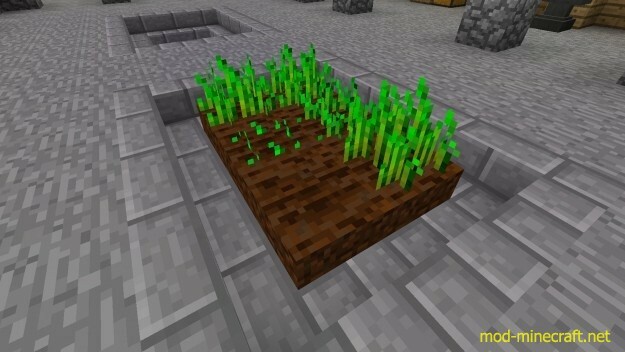 This will allow you to produce your crops quicker for a more efficient harvest. Three different sized pots exist and can be crafted from different colored clays or the wall mounted boxes crafted from wood, brick, stone or sandstone. This gives you more options to choose from when considering what you would like to plant and where you put it. With the Trowel, you can rearrange your flowers after you have planted them. 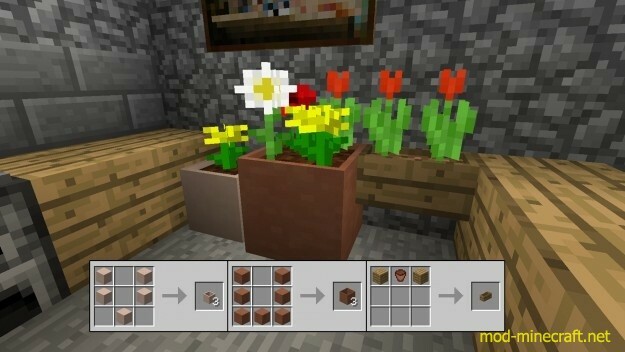 With these new pots, you can place them side by side, and they will combine provided they contain the same soil. The Trowel makes rearranging these large pots easy. Right clicking pulls up the GUI, and you can then move the plants within wherever you like. Gates and lattices are now in abundance to both protect your gardens and offer a new aesthetic to the area. 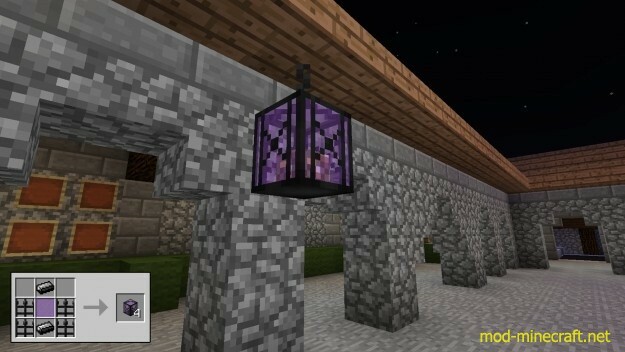 And it is sure to continue the aesthetic with Stained Glass Lanterns. 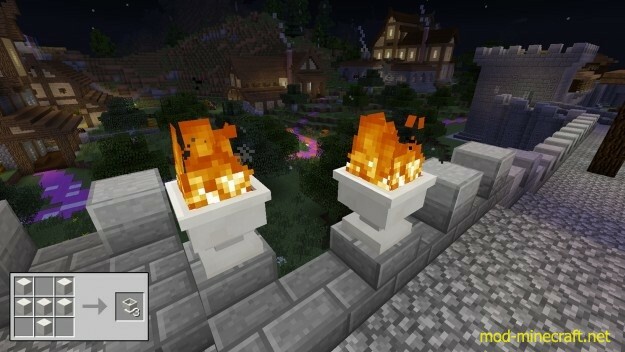 You just hang these up anywhere, place some glowstone dust inside and prepare your garden for proper mood lighting. 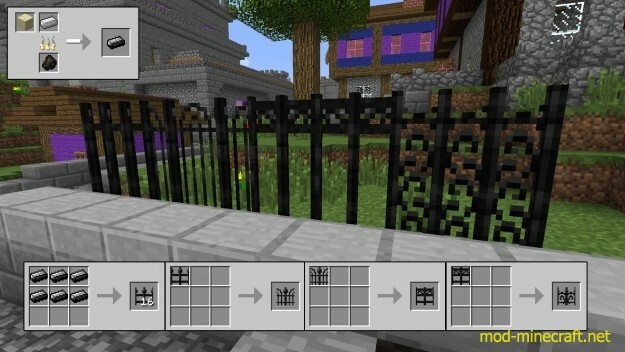 You also make sure to give some authenticity to your barrier walls as well with decorative flower pots and netherrack. Finally, you need keep your walls lit in style with this mod.